While progress has been made in the past 20 years in moving healthcare processes from paper to electronic, the healthcare industry has yet to solve a significant problem: electronically getting the right data to the right place(s) at the right time. In the WEDI Report Executive Steering Committee Meeting held on April 2, 2013, Member and Advisor comments focused our attention on potential short term “wins” and issues that we need to address in the 2013 WEDI Report. These include addressing the electronic healthcare information disconnect in administrative and clinical processes, identifying roadblocks to avoid or overcome, and suggesting potential industry solutions that enhance value throughout the healthcare system at a lower cost. These are critical issues that must be addressed collaboratively in order to improve health care efficiency in the years ahead, establish greater trust among healthcare stakeholders, provide affordable care for patients, and eliminate costly barriers to productive innovation. The effort will be successful by identifying and offering solutions to healthcare problems that healthcare stakeholders will embrace, and that will engender further progress toward solving the electronic healthcare information disconnect. In December 2012, The WEDI Foundation leadership commissioned an update to the 1993 WEDI Report in order to provide an opportunity to evaluate progress on recommendations made in the earlier report, reflect on lessons learned, determine if recommendations for Administrative Simplification made 20 years prior were still germane today, and identify immediate future needs. WEDI, in its HIPAA statutory role as advisor to the Secretary of HHS, could bring together healthcare stakeholders to address critical Health IT implementation issues and provide guidance on healthcare information exchange issues that were again confronting the nation. In short, the goal was for the WEDI Foundation (WEDI’s separate 501(c)(3) organization) and WEDI to help the healthcare industry further improve its information exchange processes in order to lower costs, improve healthcare delivery, and lead to better healthcare outcomes for patients. The WEDI Foundation enlisted the founder of WEDI, Dr. Louis W. Sullivan, to serve as the Honorary Chair of the 2013 WEDI Report Executive Steering Committee, and to enlist business CEOs and association and government leaders to identify solutions that could be implemented relatively quickly and driven by business. These solutions are meant to serve as a guide for the healthcare industry. The intent of the report is that healthcare stakeholder organizations, including WEDI, will align their efforts to help achieve the objectives outlined in this report. Accelerating Innovation: Beginning with the adoption of new mobile, smart, and other technologies, applications (apps), and data transmitted via the Internet and maintained in cloud storage, what are the opportunities for achieving improved efficiency and lower cost? Solving Challenges: What are the challenges to achieving greater efficiency and lower cost with existing standards applications and terminologies? Several subsidiary questions were posed within each of these categories -- found in the body of the report -- to begin the 2013 WEDI Report project inquiries. Low efficiency combined with growing healthcare costs and emerging technologies have created an opportunity and need for the healthcare industry to examine how to best leverage technology to streamline the exchange of healthcare information. The opportunity to leverage efficiency and quality lies not only in the exchange of administrative information, but in driving alignment between clinical information and administrative information in order to enable new modalities of care and payment. Further alignment with public health information systems can contribute to improved modalities for measuring and tracking health status and outcomes. Recognizing these challenges and opportunities, the WEDI Foundation commissioned the development of the 2013 WEDI Report to provide a roadmap for leveraging technology to enhance the nation’s Health IT infrastructure in order to lower healthcare costs, improve healthcare delivery, and achieve better healthcare outcomes through more efficient exchange of healthcare information between consumers, healthcare providers, and health plans. The 2013 WEDI Report was a new initiative, yet rooted in a similar project commissioned in 1991 by then U.S. Secretary of Health and Human Services (HHS) Louis W. Sullivan, M.D. Facing rising healthcare costs and a fragmented healthcare system, Dr. Sullivan asked healthcare business leaders to create a plan to conduct electronically more cost-effective administrative and financial transactions, a goal that was being achieved by other industries. The result was the 1993 WEDI Report, a roadmap of recommendations for standards and the transition to electronic data interchange. The1993 WEDI Report had a significant impact on motivating the change from provider-to-payer data exchange relationships to standardized transaction formats for payment and administration. The 1993 WEDI Report provided the foundation for the Administrative Simplification provisions of the Health Insurance Portability and Accountability Act (HIPAA) of 1996, in which WEDI was named an advisor to the Secretary of HHS. From the 1993 WEDI Report to the present, there have been a series of legislative and regulatory initiatives that have modified the original HIPAA administrative standards and broadened the scope of the Health IT infrastructure. Most notable among these are the Health Information Technology for Economic and Clinical Health Act of 2009 (HITECH Act) and Patient Protection and Affordable Care Act of 2010 (ACA). Just as in 1991 when the first Health IT roadmap, the 1993 WEDI Report, was commissioned, now again the nation needs a new roadmap for improving existing processes and implementing new technologies to get "the right information to the right place at the right time." Identify ways to enable consumer (patient) engagement through improved access to pertinent healthcare information. Identify requisite business, information, and data exchange requirements that will help enable payment models as they emerge. Identify ways to better align administrative and clinical information capture, linkage, and exchange. 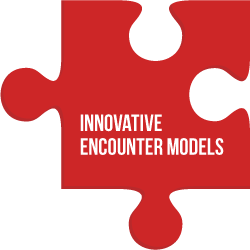 Identify business cases for innovative encounter models that use existing and emergent technologies. The 2013 WEDI Report comprises 10 recommendations that provide a broad framework for facilitating improvement in electronic exchange of healthcare information. They are based on the work of thought leaders from a representative cross-section of public and private sector healthcare stakeholders, who examined literature, reviewed case studies, polled experts, and conducted numerous discussions to develop the set of recommendations contained within the 2013 WEDI Report. The 2013 WEDI Report recognizes existing efforts of other entities who are working to solve or improve issues identified as important to the recommendations made in this report. The intent of these recommendations is to serve as a common roadmap for healthcare organizations, including WEDI. The healthcare industry is currently experiencing a revolution in terms of the adoption and use of health information technology (Health IT). The availability of high-quality products combined with historic federal and private sector incentives have encouraged the provider community to embrace Health IT at a record pace. At the same time, while there are a number of options for patients and other healthcare consumers to leverage technology to assist them in improving wellness, coordination of care, and disease management, patient engagement in this area remains relatively suppressed. Increased patient engagement would not only lead to improved health outcomes for patients, but could also lead to industry-wide clinical and administrative efficiencies. 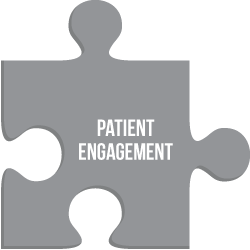 Patient engagement, for the purposes of the 2013 WEDI Report, was defined as dialogue between patients and key healthcare stakeholders (e.g. physicians, health plans, care coordinators, and public health). However, the issue spanned several key areas of focus for the purposes of the 2013 WEDI Report, including patient identification / matching, patient access to information, and how to leverage existing technology to facilitate consumer access to tools. A central question considered in this area was the extent to which the patient could serve as the center of healthcare information exchange and what tools and infrastructure would be required in order to allow patients to access and manage their own information. Personal health records were defined by NCVHS (2002) as the collection of information about an individual’s health and healthcare, stored in electronic format; they gained traction initially in the early 2000s via Internet-based tools. However, interest has waned considerably and according to the Markle Foundation (2011), only 10% of Americans use personal health records5. Challenges related to patient information capture and transfer combined with the rise of mobile applications and common formats for exporting personal health information (e.g. ONC Blue Button+) provide new opportunities for using such tools. According to a recent survey of providers and payers, conducted by WEDI (2013), nearly 34% of respondents reported offering personal health records to their members or patients. 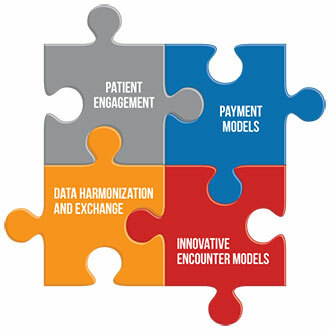 The patient engagement recommendations seek to identify: challenges to increased consumer involvement in healthcare, opportunities to utilize existing and future technologies, and workflows and other levers to meet the goals of improved information exchange to offer a pathway forward to enhanced consumer involvement and cost containment. Standardize the patient identification process across the healthcare system. Expand Health IT education and literacy programs for consumers to encourage greater use of Health IT, with a goal of achieving better care management and overall wellness. Identify and promote effective and actionable electronic approaches to patient information capture, maintenance, and secure and appropriate access that leverage mobile devices and "smart" technologies and applications. With the passage of the Affordable Care Act, a significant number of institutions have been actively implementing various new payment models. 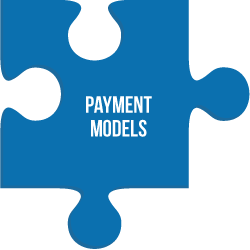 According to a 2011 Rand Health Technical Report entitled "Payment Reform: Analysis of Models and Performance Measurement Implications"6, there were over 100 payment models identified. One example of new payment arrangements includes Accountable Care Organizations (ACO). According to Leavitt Partners data published in the January 2013 Becker’s Hospital Review, there are currently 99 hospital-sponsored ACOs,7 38 physician group-sponsored ACOs and 27 payer-sponsored ACOs. However, with these new forms of payment come new complexities in implementation. 1. Develop a framework for assessing critical, core attributes of alternative payment models -- such as connectivity, eligibility/enrollment reconciliation, payment reconciliation, quality reporting and care coordination data exchange, and education -- and the technology solutions that can mitigate barriers to implementation. For the past two decades, healthcare information has been loosely classified as "administrative" or "clinical." While considerable gains have been made in the exchange of these types of data respectively, there is increasing recognition that administrative decision-making will be better served if based on information drawn directly from the clinical record, rather than abstracted according to purely administrative drivers. Healthcare must explore the extent to which administrative and clinical functions can be driven from a unified data set to fully implement new care management and payment reform programs. This data set also can contribute to improved information for population health. 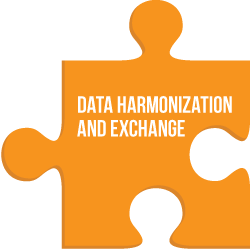 Harmonized data standards for reporting, coordination, administration, and research are critical to the effective operation of the healthcare industry. Much progress has been made, yet significant work lies ahead in order to reach the goal of ensuring the right information arrives at the right place and time and that the data drive tangible improvement in care and value. Quality and cost are the function of shared decisions in an environment where care delivery is distributed across clinicians in different settings, care coordinators, and centrally, the patient. In order to enable effective decision making, access is required to a complete record. Standards and methods for information exchange must recognize and prioritize support for coordinated care that transcends traditional enterprise boundaries. A more sophisticated level of integration and interoperability is necessary in order to enable new payment models, patient engagement, and innovative encounters. The recommendations below address the need for harmonized data standards for reporting, care coordination, and administration. Much progress has been made, and the situation is vastly different and advanced, since the initial creation of the WEDI Report in 1993. These recommendations recognize a higher level of integration and look ahead to increase value from shared data that support the informational needs of all stakeholders. Identify and promote consistent and efficient methods for electronic reporting of quality and health status measures across all stakeholders, including public health, with initial focus on recipients of quality measure information. Identify and promote methods and standards for healthcare information exchange that would enhance care coordination. Identify methods and standards for harmonizing clinical and administrative information reporting that reduce data collection burden, support clinical quality improvement, contribute to public and population health, and accommodate new payment models. The healthcare landscape is rapidly changing, we are moving away from one doctor, one exam room, one "encounter." A "typical" encounter is defined as scheduling an appointment, visiting a doctor’s office and rendering a diagnosis. Technology now allows us to expand outside of brick and mortar medicine. This impacts how we bill, process claims, maintain records, report, schedule, and diagnose. "Innovative" encounters like email, texting, and telehealth are powerful tools to engage patients and providers without reference to location or time and allow non-emergent conditions to be evaluated and in many cases treated without the need for a physical visit. What makes an encounter innovative is the tool or method of communication and/or the order in which communication occurs. There are two forms of innovative encounters: asynchronous and synchronous. An asynchronous encounter shuffles the typical order of events. For example, instead of scheduling an appointment with a doctor to look at a suspicious mole, a patient might text a picture of a suspicious mole to an advice nurse to determine if an appointment is necessary. Doctors and patients need clear protocols for these types of asynchronous encounters. Synchronous encounters occur in near real-time. For example, a pill bottle that remotely sends a signal to the care coordinator who, in turn, can check in with the patient for compliance. With the proliferation of electronic tools in support of clinical encounters, and the rapidly growing use of mobile smart technologies by consumers, the demand for innovative encounters is growing, not only because of convenience, but also because innovative encounters have the potential to reduce costs for practitioners (e.g., facility overhead) and for consumers (e.g., travel and time). As the 2013 WEDI Report effort evaluated innovative encounters, it was noted that the landscape is new and will continue to evolve, from both innovation and regulatory perspectives. State regulation today provides challenges to proliferation of innovative encounters. We are at an historical intersection between technology, consumer behavior, provider, and payer adoption. Consumer demand for innovative encounters could become a significant motivator for providers to adopt innovative encounters in their practice models. Health plans may find that reimbursing for innovative encounters significantly lowers claims when they are used to prevent more serious (and expensive) encounters. Before either of these theories can be tested, our recommendation is that the tools, protocols, and criteria for testing these hypotheses be gathered and evaluated by relevant stakeholders. Identify use cases, conventions, and operating standards for promoting consumer health and exchange of telehealth information in a mobile environment. Facilitate adoption and implementation of "best-in-class" approaches that promote growth and diffusion of innovative encounters across the marketplace and that demonstrate value for patients, providers, and payers. Identify existing or proposed federal or state-based laws or regulations that create barriers to the implementation of innovative encounters (including licensure). As initially envisioned twenty years ago, we, as an industry, continue to progress towards a healthcare system that leverages technology in order to improve care and lower costs. Health IT is not the cure in and of itself but, when adequately deployed, can serve as a powerful change agent. The rise of mobile and other technologies creates many opportunities for the healthcare industry to move forward together to solve many of the challenges that have plagued the American healthcare system. The steps required to do this are not easy, especially given the existing resource constraints faced by many healthcare stakeholders. However, through public and private partnership, the recommendations outlined in this report are achievable and reality-based. These recommendations should serve as a catalyst and call-to-action to all stakeholders to truly help implement the Health IT infrastructure that our nation will need in the future, both short-term and long-term. Much rides on the success of these recommendations. As our nation moves towards adopting new technologies, care coordination modalities, and payment models, more responsibility will fall onto consumers for managing their care and healthcare information. As we consider how to get the right information to the right place at the right time, we must build systems, tools and education programs to help Americans be successful in this new paradigm. 1 The U.S. Healthcare Efficiency Index© is available online at: http://UShealthcareindex.org. 2 Yong, P.L., Saunders, R.S., and Olsen, L. The Healthcare Imperative: Lowering Costs and Improving Outcomes: Workshop Series Summary. Institute of Medicine. Washington, DC: The National Academies Press, 2010, p.146. 3 See Cuckler, G., et al., "National Health Expenditure Projections, 2012-22: Slow Growth Until Coverage Expands And Economy Improves," Health Affairs, v.32, n.10, October 2013, p. 1822, which is available at www.healthaffairs.org. 4 Cutler, D., Wikler, E., and Basch, P. "Reducing Administrative Costs and Improving the Health Care System," New England Journal of Medicine, November 15, 2012, pp. 1875-1878. 5 See http://www.markle.org/publications/401-americans-overwhelmingly-believe-electronic-personal-health-records-could-improve-t.
6 Schneider, E.C., Hussey, P.S., and Schnyer, C. Payment Reform: Analysis of Models and Performance Measurement Implications. Rand Health Technical Report. Santa Monica, CA: Rand Corporation, 2011. The Honorable Louis W. Sullivan, M.D. “The 2013 Report will help to set a common direction for the healthcare industry as we continue to evolve to greater focus on patients managing their own healthcare information, the movement towards fee-for-value arrangements, and the rise of new payment models and technologies”, said Dr. Devin Jopp, President & CEO of WEDI.